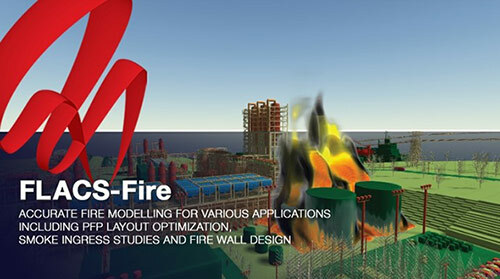 The FLACS-Fire module adds jet and pool fire modelling capabilities to the 3D CFD explosion and dispersion modelling software tool FLACS. FLACS-Fire builds on the solid foundation of the explosion and dispersion CFD model and adds a fire specific combustion model and advanced Discrete Transfer Method (DTM) to model thermal radiation. It has been extensively validated against data, and based on this work we have established clear and robust user guidelines to get accurate results in a very efficient work flow. 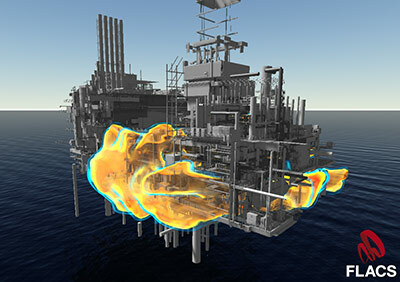 Three levels of accuracy and detail is available: CFD + DMT (most accurate), CFD + 6 flux or Solid flame model + DMT (for screening). Validation output parameters: Gas temperature, flame shape, velocities, radiative and total heat flux, and toxic, soot and smoke concentrations.